"I'm so sorry to hear of Cousin Jim's death. 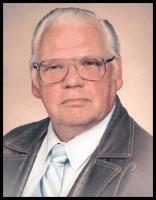 I'm the 4th of..."
"Condolences from Richard, Donna, Steven and Erik Thorkildson"
James Edward Thorkildson, 84, of Vancouver, WA, passed away Feb. 2, 2019. He was born July 5, 1934 to Torger Edward and Doris Lillian Thorkildson in Stephen, MN and graduated from Vancouver High School. James was a proud National Coast Guard veteran who served in the Korean war. He was a retired electrician and belonged to Local 48. James is survived by his loving wife, Shirley Corrine Thorkildson; children, Bart Edward Thorkildson, Jimmy Edward Thorkildson (Lori), John Edward Thorkildson (Pam), Chuck Edward Thorkildson and Doug Edward Thorkildson; step-daughters, Lisa Cartwright (Craig) and Teresa Pritchard (Ron); numerous grandchildren and great-grandchildren; and his brothers, Kenneth L. Thorkildson and Torger Donald Thorkildson (Arley). He was preceded in death by his first wife, Sharon Lee Thorkildson; his children, Denise Lynn Thorkildson, Holly Lynn Thorkildson and Greg Edward Thorkildson; and sister-in-law, Joyce Thorkildson. A graveside service will be held Fri., Feb. 15 at 10:30 a.m. at St. Johns the Evangelist Catholic Cemetery, 10811 NE Maitland Road, Vancouver, WA 98686. All are welcome.